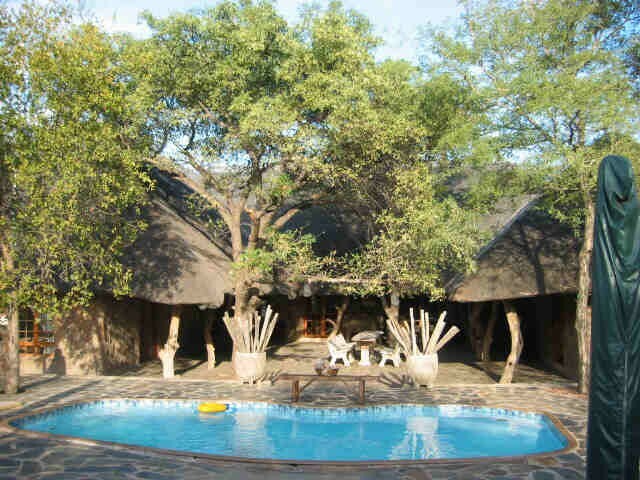 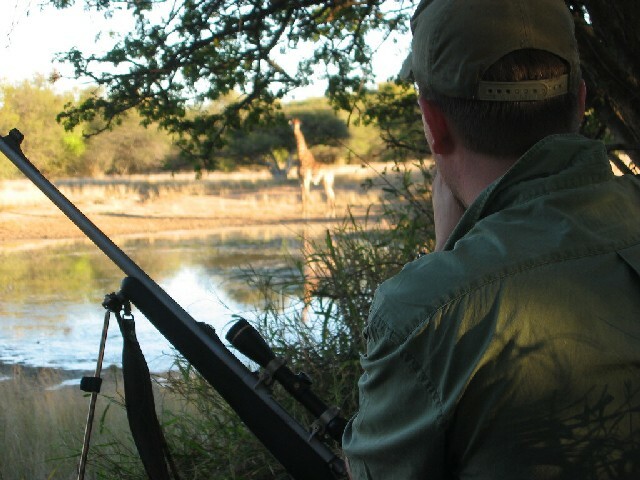 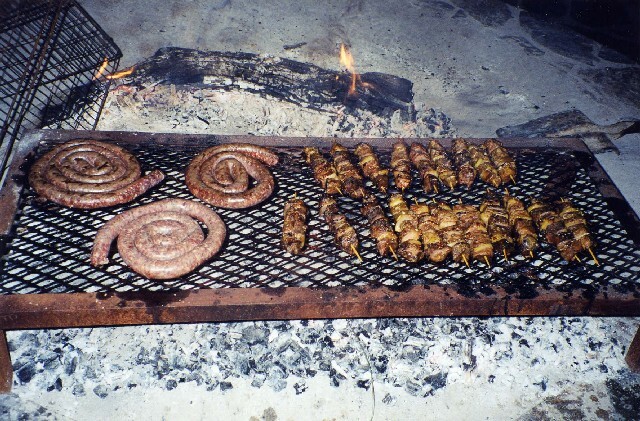 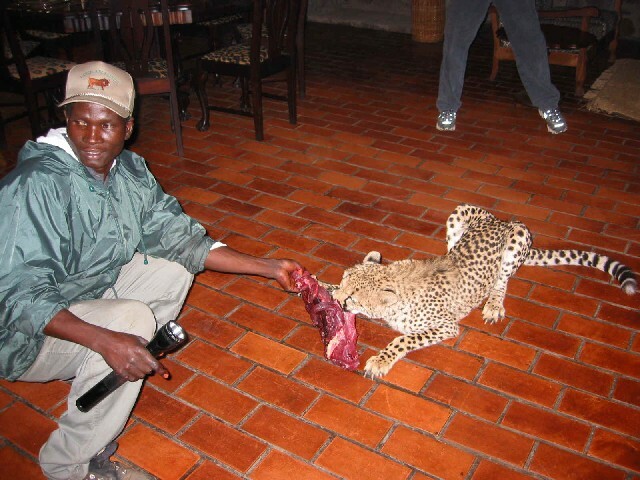 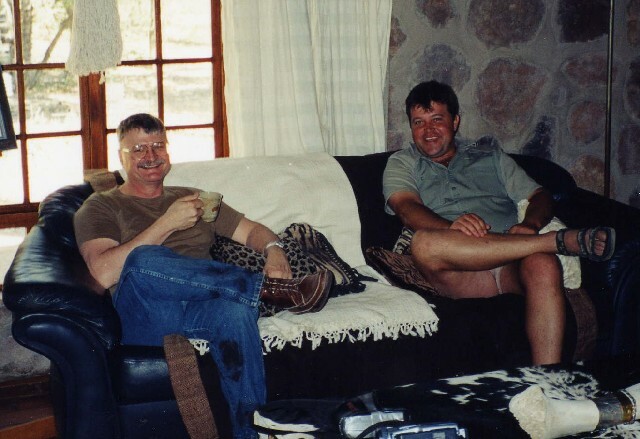 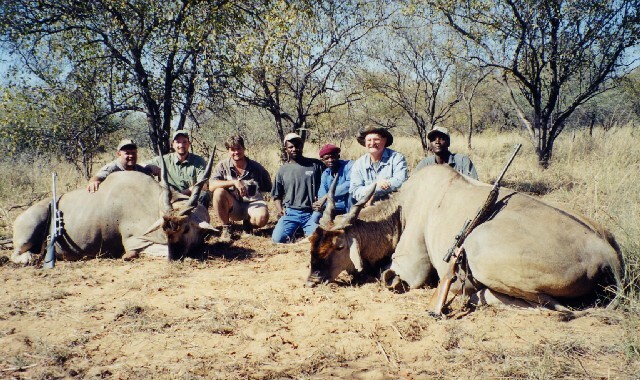 Landelani Game Lodge, hosted by MW DeJager, who kindly hosted our hunting party in 2000. 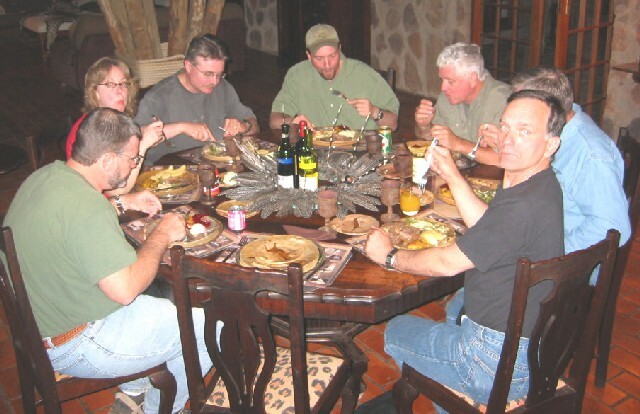 A great place to hunt, great food, and great hospitality. 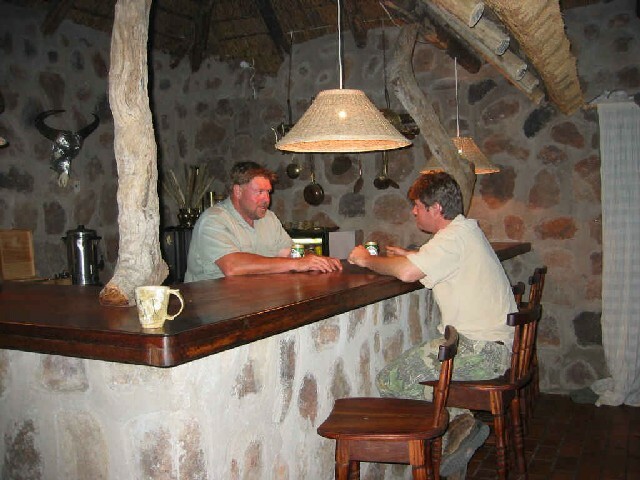 Don G and MW DeJager enjoying a drink in the hunting lodge. 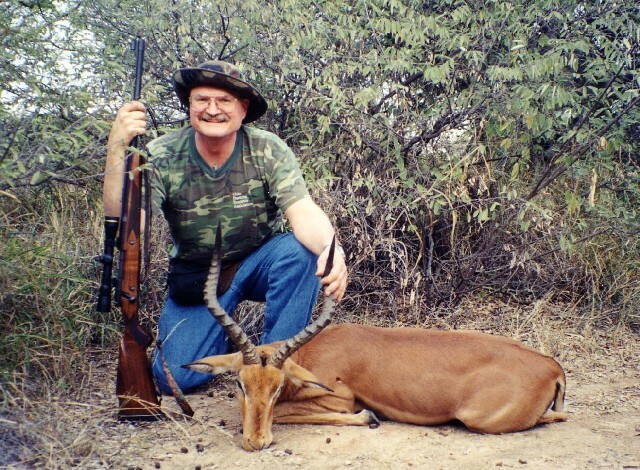 Don G and his impala, shot with his 416 Remington magnum, loaded with 330 grain GS Custom HV bullets. 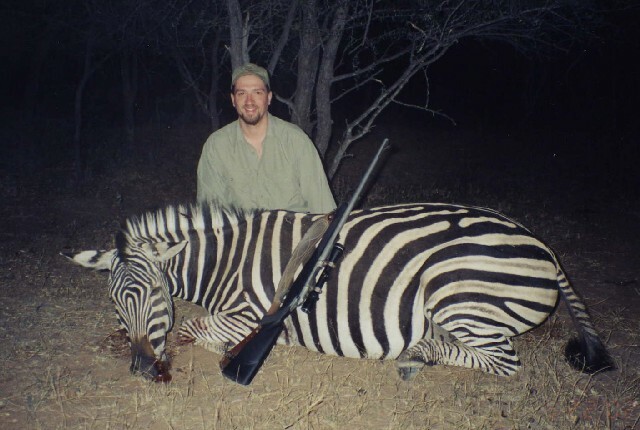 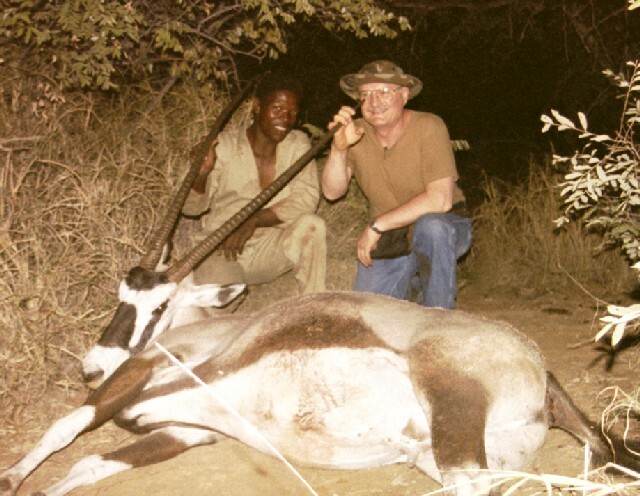 Chris's first African game animal. 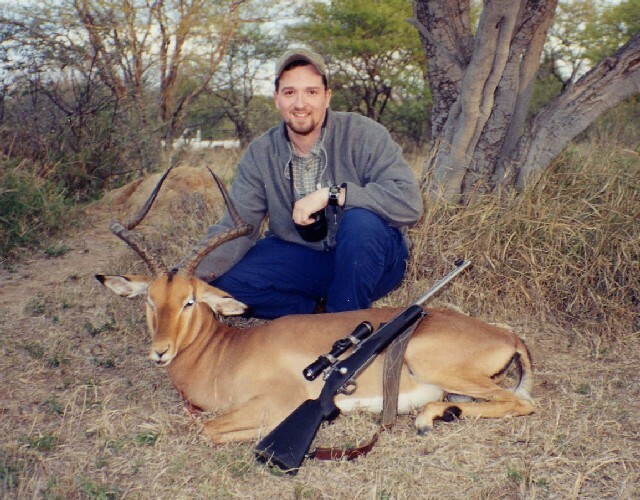 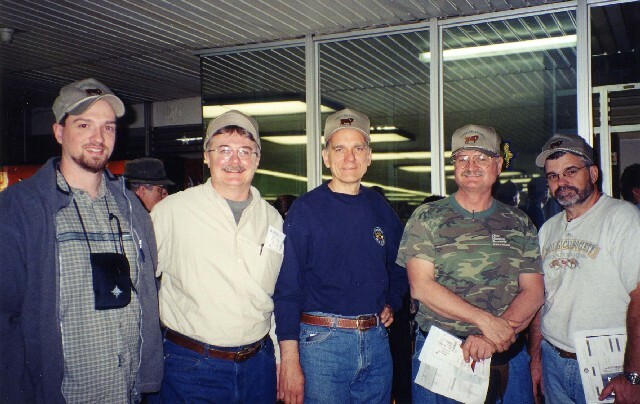 Chris had to borrow our mutual friend JJHack's 375 H&H to shoot his animals. 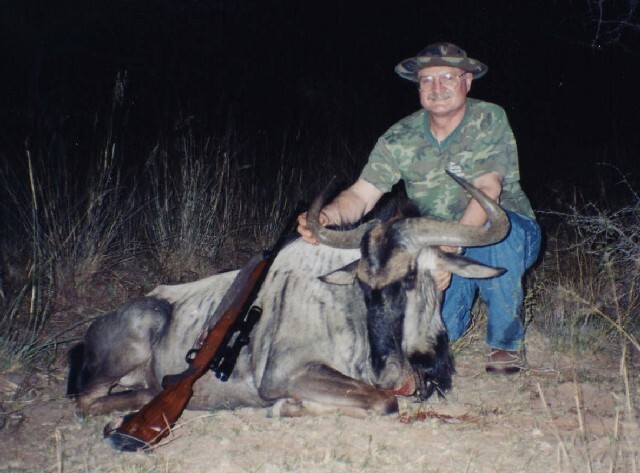 He use 270 grain Swift A-Frame bullets. 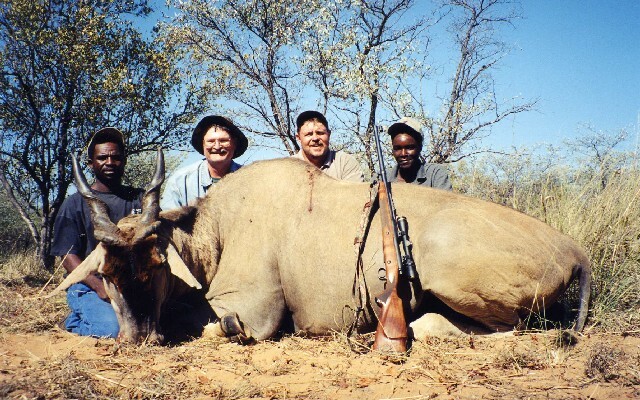 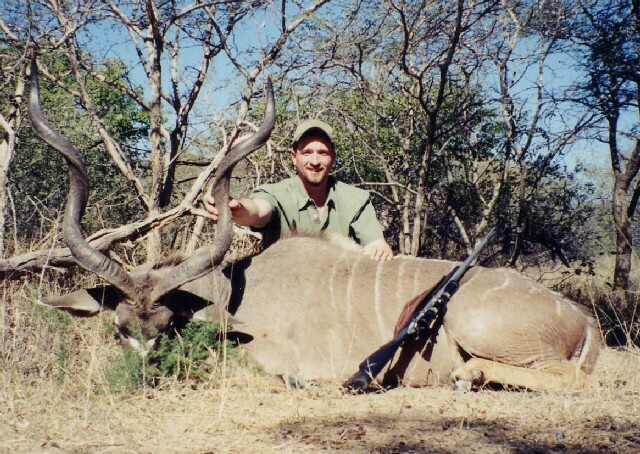 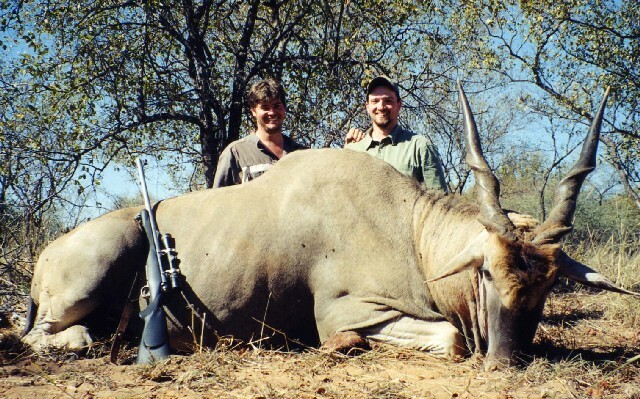 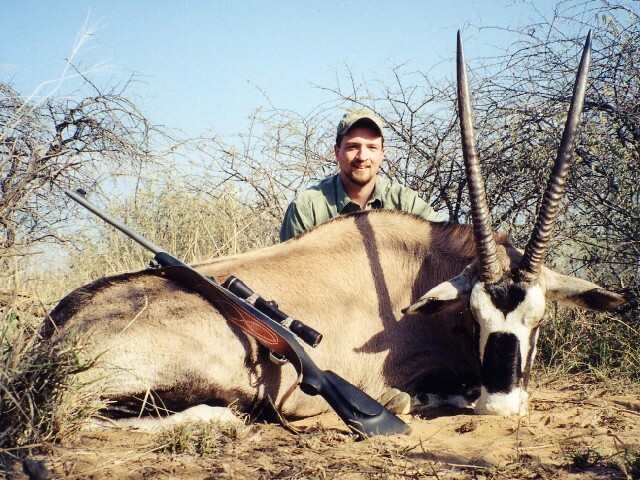 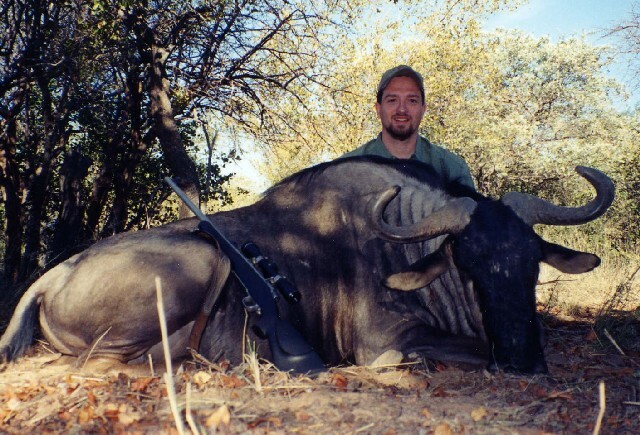 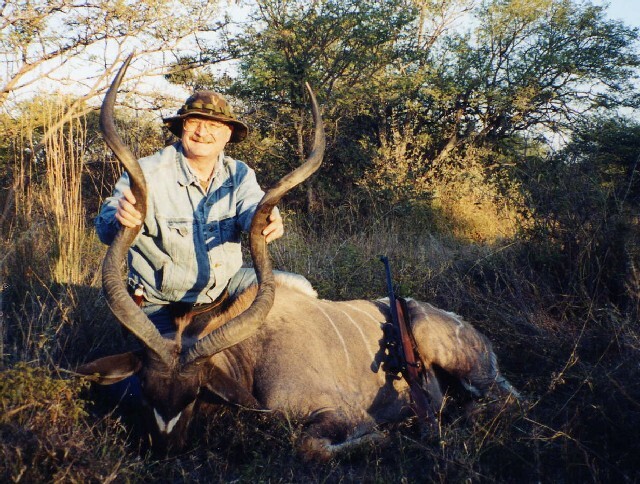 Don and his great looking 57" kudu bull, shot on the first day of their hunt. 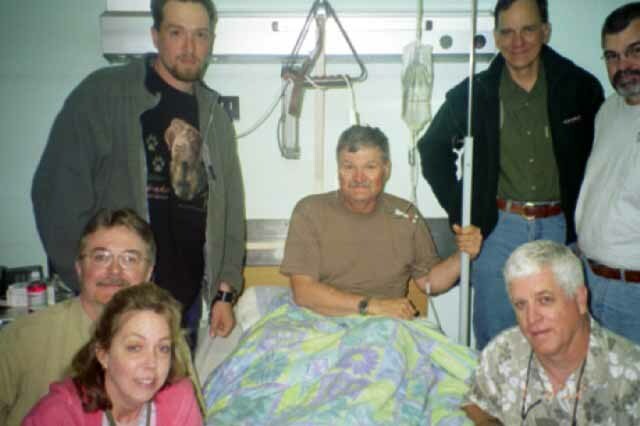 Our friend Don G, recovering in hospital after it dawned on him that he had to share a room with Chris. 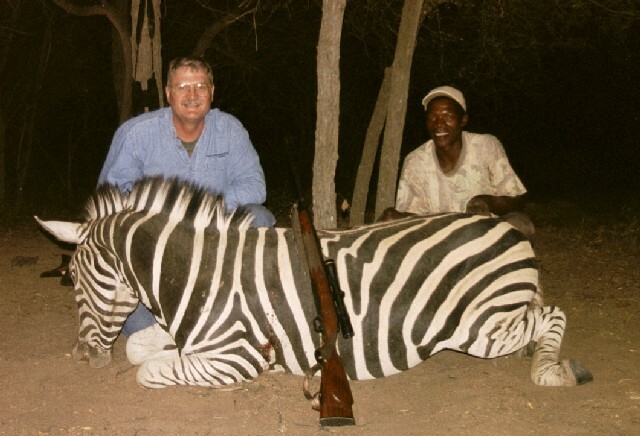 He said he did not wish to share a room with someone who can compete with a rhino!